Berkshire Hathaway HomeServices is expanding globally and our website is making the change, too. To complement our international platform, Berkshire Hathaway HomeServices now sends your listings to over 35 countries throughout the world! 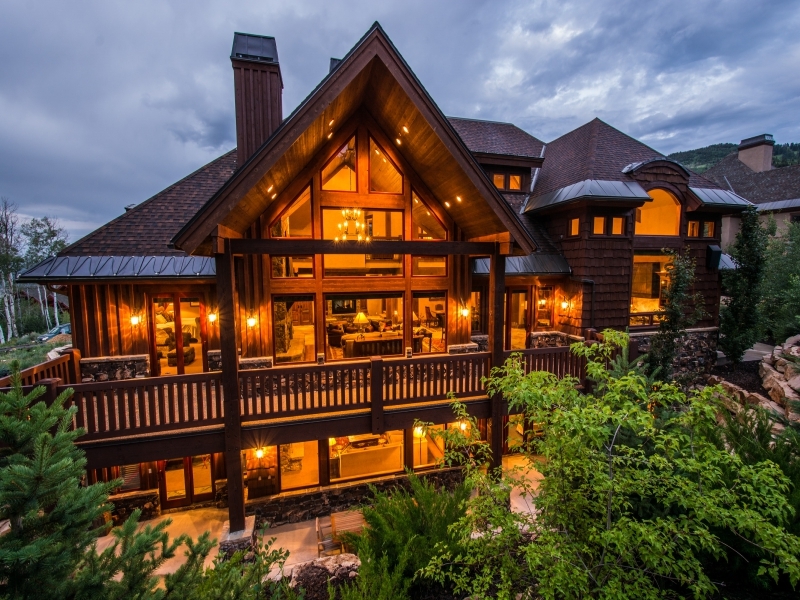 Posted in Park City Real Estate News, National Real Estate News, Real Estate Information, Wasatch Front Real Estate Info | 0 Responses to "Berkshire HathawayHS.com Goes Global"
We are thrilled to announce our EXCLUSIVE relationship with 3rd Home. 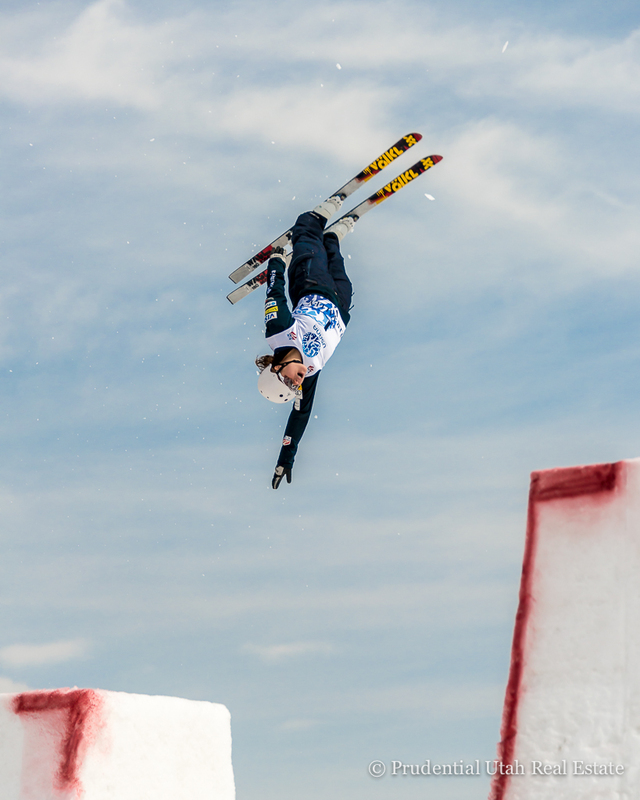 Posted in Park City Real Estate News, Park City Community News, Park City Ski Resort News, National Real Estate News | 0 Responses to "3rd Home - Travel Club for Luxury Second Homeowners"
Buyers and sellers need to be informed about tax considerations before entering a transaction. Profitability: According to the IRS, if you have a gain from the sale of your main home, you may be able to exclude up to $250,000 of the gain from your income as a single tax filer, or $500,000 on a joint return in most cases. Interest: Currently, much of the interest paid on a mortgage is tax-deductible. A married couple filing jointly can deduct all of their interest on a maximum of $1 million in mortgage debt secured by a first or second home. Selling costs: Broker commissions, title insurance, legal fees, advertising costs, administrative costs, and inspection fees are all considered selling costs and currently may be used to reduce ones taxable capital gain by the amount of the selling costs. Refinanced mortgage points: They may be deductible, but not all at once. Homeowners who refinance may be able to immediately write off the balance of the old points and begin to amortize the new points. Interest paid on a home equity loan or similar line of credit may also be deducted. Points/origination fees: On a home loan, if points or origination fees are paid during the purchase of a home, they are currently generally tax-deductible for the year in which they were paid. Repairs/remodels: Qualifying capital improvements may be able to be deducted, including costs of a new roof, fence, swimming pool, garage, porch, built-in appliances, insulation, heating or cooling systems and landscaping. Relocation expenses: If you move because of a new job, you may be able to deduct some of your moving costs. To qualify for these deductions, you must meet several IRS requirements, including that your new job is at least 50 miles farther from your old home than your previous job. Moving-cost deductions can include travel or transportation costs, lodging expenses, and fees for storing your household goods. Property taxes: Currently deductible from your income. If you have an impound or escrow account, you cant deduct the money held for property taxes until the money is actually used to pay your property taxes. 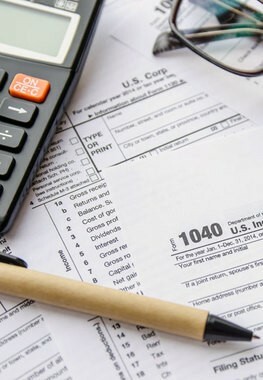 City or state property tax refund reduces your federal deduction by an equal amount. First-time buyer credit: For those buyers who took advantage of this credit within the past two years, remember that if within 36 months of the date of purchase, the property is no longer used as your principal residence, you are required to repay the credit. Another important tip for those moving into a new home is to make sure you update your address with the IRS and the U.S. Postal Service to ensure you receive refunds or correspondence from the IRS. Tax laws change every year, and certain tax deductions become available while others phase out. Speak with a professional tax consultant about these and other considerations. Posted in National Real Estate News, Brokerage News, Wasatch Front Real Estate Info | 0 Responses to "BHHS Utah Tips: Real Estate and Taxes"
If you have recently bought or sold a home, there are a few tax advantages that may be available to you. Generally speaking, real estate brokers commissions, title insurance, legal fees, advertising costs, administrative costs and inspection fees are considered selling costs and may reduce taxable capital gain by the amount of the selling costs. However, every year the tax code can change and your situation may be unique. So the following is provided only as a guide. It is highly recommended that you seek a professional tax consultant to be sure. Mortgage Interest: Within limits, it may be tax-deductible. For example, a married couple filing jointly can deduct interest payments on a maximum of $1 million in mortgage debt secured by a first or second home. Buyers may also be able to deduct some of the interest they paid on a home equity loan or similar line of credit. Points: Points or origination fees on a home loan paid during purchase are generally tax-deductible in full, for the year in which they were paid. Refinanced mortgage points: These may also be deductible, but only over the life of the loan. Homeowners who refinance can immediately write off the balance of the old points and begin to amortize the new. Improvements: Improvements made to property prior to the sale (or once one moves in) might qualify for an interest deduction on your home-improvement loan. Qualifying capital improvements are those that increase your homes value, prolong its life, or adapt it to new uses, such as adding a porch or installing energy-efficient windows. Real Estate Taxes: During a sale, the seller will send the local tax collectors office a check for real estate taxes prior to the closing. In many circumstances, however, the buyer will pay a pro-rated portion of the taxes for the year at closing. This tax deduction also gets overlooked. 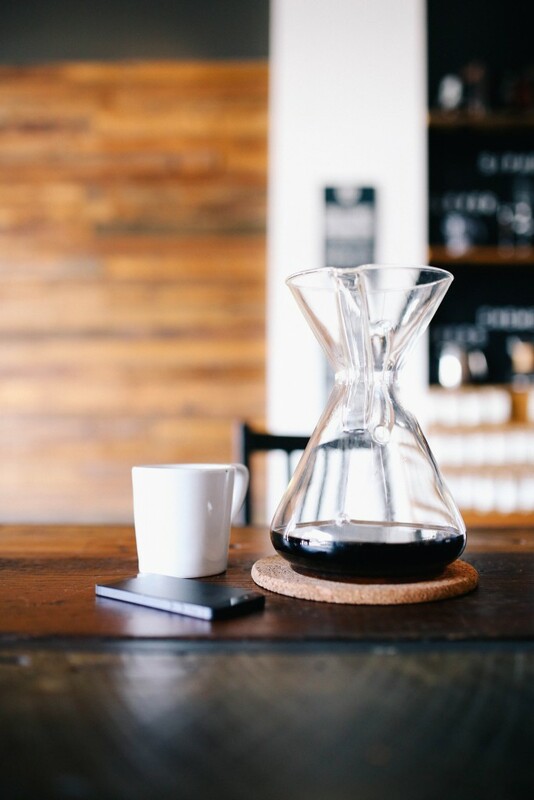 Business Use: For new buyers who work at home: If a room is used exclusively for business purposes, they may be able to deduct home costs related to that portion, such as a percentage of your insurance and repair costs, and depreciation. Moving Costs: If you have moved because of a new job, moving costs might be deducted. These can include travel or transportation costs, lodging, and fees for storage of your household goods. In todays economy, its critical that we take advantage of every possible tax break. A home provides a great opportunity to do just that. Posted in National Real Estate News, Real Estate Information | 0 Responses to "Explained: The Tax Benefits of Owning a House"
You found the perfect house, made an offer, negotiated the price, had an inspection and ensured your mortgage. The only thing left is your final walk-through. Walk-throughs are normally scheduled the day of, or day before the settlement, as the seller should be completely moved out. The object is to ensure that the house stands in the same condition as when you agreed to buy it. This is not the time to nitpick about nail holes or carpet imperfections. Unless youve negotiated allowances for such issues, youll have to address them later after youve settled. What could impact the transaction is property or fixtures that the seller agreed to leave behind are missing (e.g., a washing machine, pool table, garage cabinets, etc.) or if the seller leaves things that were supposed to be removed (e.g., paint cans, furniture, etc.). With your agent at your side, be sure that obligatory repairs flagged during the home inspection are completed to code and satisfaction. If the seller agreed to replace an aging water heater but didnt do it, this must be accounted for during settlement. You may be eager to leave the house and get to the settlement, but dont rush through the walk-through. Run the appliances through a full cycle to make sure they work. Turn on all faucets and showers as well. Some contracts will specify that the buyer complete a walk-through a week or two prior to settlement followed by a quick meeting prior to settlement to check off any items previously noted. Again, any items or tasks that arent complete must be justified at the time of settlement. Though issues may arise, the majority of walk-throughs go without a hitch as both parties are eager to complete the deal and willing to negotiate any final hurdles. Posted in National Real Estate News, Brokerage News, Real Estate Information | 0 Responses to "The Final Walk Through"
Market Overview | Information you can trust. -While active inventory is down 26% from last July, pended sales are up 30% in Salt Lake County and surrounding areas. -Median price is currently $260,000, which is an all time high for Salt Lake County and has been moving upwards at a steady rate of 2% since February. -1,074 properties closed, which represents a 19% increase from the same time last year. -In Salt Lake County, June 2015 was the first month in the history of the MLS where sold volume amounted to over $500,000,000. Both June and July of this year did over $500 Million in volume. Again, that's never happened. In the summers 2006 and 2007, more units closed than this summer (about 10% more) but those sales did not amount to the same volume amount. -Summary: Our market is strong and is trending upwards at a measured pace. In spite of slightly constrained inventory, we are still seeing a notable increase in sales and pendings, which suggests buyer confidence. The East Bench (Sugar House, Harvard-Princeton-Yale, 9th and 9th) boasts some of Salt Lakes most attractive residential micro-neighborhoods. Filled with restaurants, boutiques, yoga studios, public park, walkable urban centers, and young energy, this is one of the best places to live in the city...the market is reflecting the interest. -There are currently 86 homes for sale and only 20% of them are listed for under $400,000; the median asking price is $515,000. -48 homes are currently under contract in the area, suggesting less than 2 month supply of homes, which is the lowest in the country. Posted in National Real Estate News, Real Estate Information, Salt Lake Community News | 0 Responses to "Salt Lake City Market Update | Summer 2015"
Berkshire Hathaway HomeServices Utah Properties was named among the Top 100 Power Brokers in RISMedia's Annual Power Broker Report. Our firm achieved the highest sales volume in Utah, with over $1.8 billion in sales. We are thrilled to continue to perform among the best real estate firms in the country and would like to sincerely thank our clients. Stacking-up in the industry is more than a pat on the back, it's a sign that we have traction among the communities we serve. We love our state, and we feel that real estate decisions are some of the most important choices people make. Thank you for trusting us. We look forward to leveraging our success to further assist you. -In 2014, 88% of top brokers reported an increase in home prices. -The most commonly listed challenges to business were lack of inventory, lingering economic uncertainty, and rising interest rates. -82% of brokers categorized their market as stable or growing. -The general consensus seems to be: Consumer confidence is up. People are buying homes again. The housing market has recovered. -Broker leverage matters. Inventory constraints and the ever-changing financing landscape make it crucial to work with a professional full-service agency. Posted in National Real Estate News, Real Estate Information | 0 Responses to "BHHS UTAH NAMED A TOP 100 POWER BROKER"
Investigate the surrounding area: Good schools boost your property value. Research the closest parks and community centers and consider how busy streets impact the neighborhood. Check out stores and restaurants in the area. Let's be real, distance to the nearest place to buy milk or work-out is of critical import. Take the temperature of the area: Is the average resident young, married, settled professionals with kids...? Are you looking for urban energy or quiet with big yards and wide sidewalks? It's important to think long term. Is this an area that will work for you in 5 years? Research the Homeowners Association: What are the regular fees? Are there lawn or construction restrictions? Knowing these things can really make an impact. A good real estate agent can furnish you with a wealth of local information and take you on a tour of the closest commerce centers, restaurants and shops. A little groundwork will help ensure that your dream house is surrounded by a dream neighborhood. 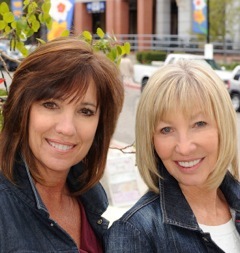 Posted in Park City Real Estate News, National Real Estate News, Brokerage News, Real Estate Information, Salt Lake Community News | 0 Responses to "Choosing a Neighborhood"
We have just returned from the BHHS annual convention in Las Vegas. We were acknowledged as being a leading brokerage with seval agents and teams in the Top 100. As a brokerage we were named a Top Ten National Brokerage in Network. We also had both an agent and a team place amont the top ten in their respective categories. We were also able to hear what our brand has planned for the coming year. Already, less than a year out from our conversion to Berkshire Hathaway, we have benefited from the brand's commitment to market positioning, digital marketing, agent training, and world renowned name. Our agents who attended convention were glad to have the opportunity to share tips and observations with other agents. It's been a year of change and success for us. Thanks for your trust. We could not be more excited about our company. Posted in National Real Estate News, Brokerage News, Real Estate Information | 0 Responses to "BHHS Utah Among Top Brokerages in Network"
All BHHS Utah are now featured on the Wall Street Journal. As part of a new partnership between Berkshire Hathaway HomeServices and Wall Street Journal, all of our firm listings now appear in the Wall Street Journal's online Real Estate search section. 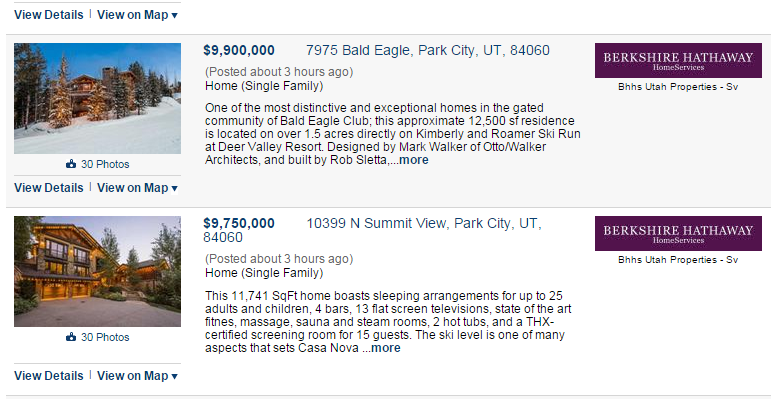 Search under Utah to view all relevant listings. We are thrilled with the robust marketing efforts championed by Berkshire Hathaway HomeServices. As one of the most respected brands in the world, BHHS has the gravitas and powerhouse network to ensure every BHHS client benefits from utilizing our services. As more and more consumers move their property searches online, you can be sure that as a BHHS client your listing is given every advantage in the digital sphere. 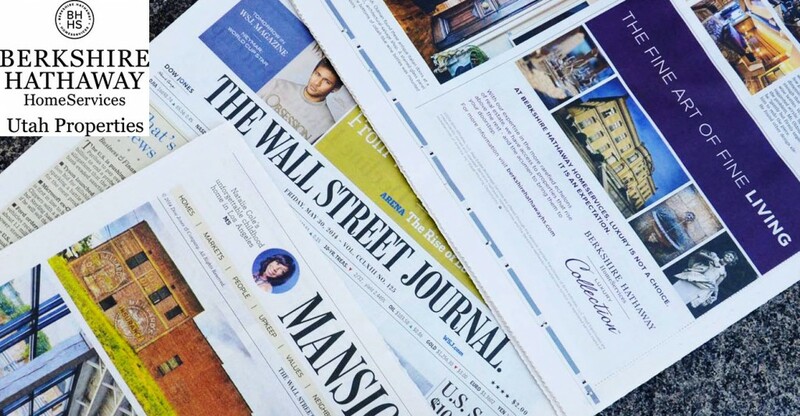 In addition to being among the digital listing feed, BHHS has secured long term advertising for the brand in both the print and online edition of WSJ. Posted in Park City Real Estate News, Real Estate Information, National Real Estate News, Brokerage News | 0 Responses to "BHHS Utah Listings Now on Wall Street Journal"
2014 was momentous for our company. 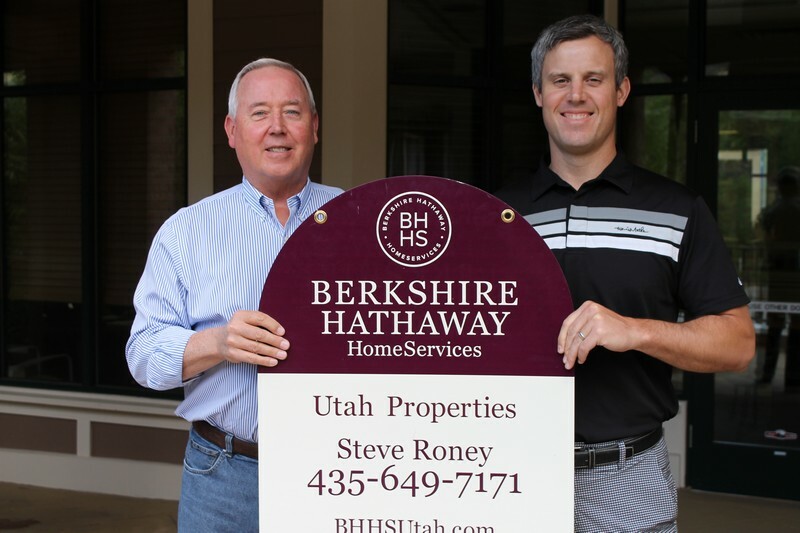 Our June transition to Berkshire Hathaway HomeServices was a success and has already contributed substantively to our growth throughout northern Utah. Adopting the most respected brand in the world (according to Barron's famed annual poll) has provided us with the latest in sophisticated market watching and marketing tools. 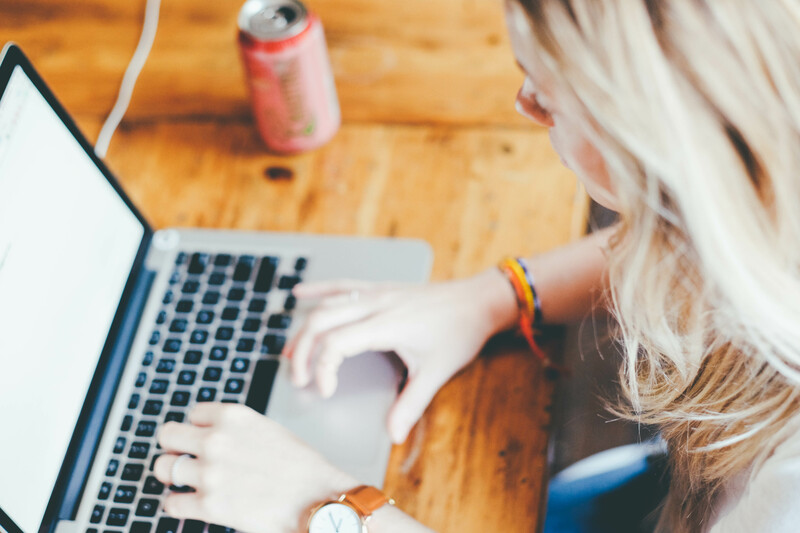 From proprietary digital e-mail systems, advanced market statistic reports, and cutting edge social media monitoring, our clients are given every advantage needed to position themselves successfully and make informed decisions in today's market. 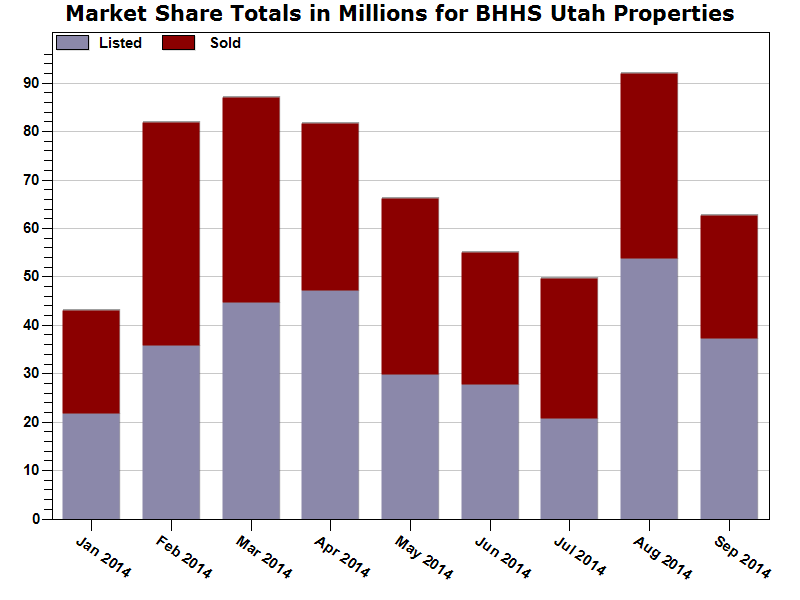 In 2014, we were also named the largest brokerage in Utah in terms of sales volume, with over $1.8 billion in sales. * It is an honor to be Utah's choice real estate firm, and we look forward to building on our stronghold. Locally, the arrival of Vail with its newsworthy purchase of Park City Mountain Resort and its announced intention to combine Canyons Resort with PCMR has energized the town and the real estate community. As the largest development brokerage in Park City, we look forward to contributing to the responsible growth of our town and market. *2014 announcement reflects sales volume achieved in 2013 according to MLS statistics. Our marketplace remains highly segmented. 2014 illustrated the complexity of our local market place. Given the variety of product and price points in our real estate community, it is not surprising that certain areas such as Old Town and Heber Valley saw intense activity and growth, while other areas like Park Meadows saw erratic price variation. As ever, the assistance of an informed professional remains critical. Median sale price increased. While vacant land and certain neighborhoods saw stunning price increases, most areas saw a gradual and measured increase of median price. Inventory remains low. We witnessed limited inventory, particularly in Q2 and Q3 but predict that given the excellent climate for selling, we will see a return of more options in 2015. The development market has returned. BHHS Utah represents more developments than any other Park City brokerage and can say with authority: the development market is healthy and heating up. From large acreage ranch properties to contemporary luxury builds in Deer Valley, Summit and Wasatch counties are entering a period of intense growth. Investment opportunities abound. Consumers found their confidence. Consumer confidence returned to pre-recession levels, which had a hugely positive and stabilizing effect on the domestic real estate market. The market as a whole has normalized. Distressed sales and failed developments are a thing of the past. In 2014, the market returned to pre-2008 levels. What we expect from the market in 2015. Our market will remain segmented. 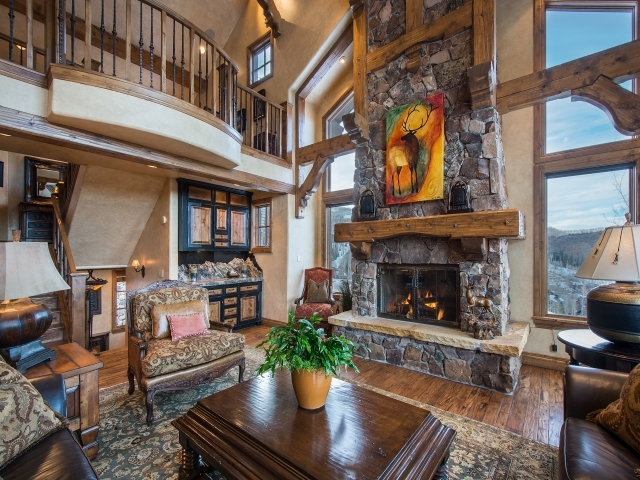 Park City offers real estate options for every buyer, which makes our jobs here a bit easier. It also means that each neighborhood operates as its own market. Inventory will return. Inventory remained relatively low in 2014 (there was a slight increase from 2013), but it seems likely that sellers will capitalize on the current climate, which will increase inventory gradually over the course of 2015. Vail's purchase will have a positive effect on Park City's market. Vail's creation of the largest ski resort in America is sure to have a positive impact on our market place. We have already seen price increases in and around Canyons Resort and Old Town. Foreign buyers and visitors will increase. While foreign buyers have historically accounted for less than 1% of local buyers, Vail's arrival and its roster of foreign Epic Pass holders along with Salt Lake's ever growing economy will result in an increase in international visitors and potential foreign buyers. As a global brokerage, we are equipped to meet the needs of and reach a global client base. More development. Summit and Wasatch counties will continue to garner interest from developers, meaning new and different product for buyers to select from. 12/31-1/3 The WHO Show performing "Tommy-the Rock Opera"
Posted in Park City Real Estate News, Park City Community News, Real Estate Information, National Real Estate News, Brokerage News | 0 Responses to "A Year in Review"
Berkshire Hathaway HomeServices kicks off next phase of expansion. We are thrilled to announce Berkshire Hathaway HomeServices' announcement of its intention to expand internationally in 2015. In Utah, we have seen a notable influx of international visitors, companies, and diplomatic missions, and we believe our brand's expansion overseas will allow us to increase our reach globally and assist with our international clientele. Having brought nearly all of the brokerages that once did business as Prudential Real Estate under its wing, next year Warren Buffetts new franchise network will fix its sites set on a new target: independent brokerages and companies affiliated with other brands. That includes overseas firms, says Gino Blefari, who on Jan. 1 will take the reins of HSF Affiliates LLC, the joint venture that runs the Berkshire Hathaway HomeServices, Real Living and Prudential Real Estate brands. 2015 is going to be all about growth, said Blefari, who is replacing Prudential Real Estate veteran executive Earl Lee, 69, as CEO of HSF, a joint venture between Buffetts brokerage company, HomeServices of America, and Brookfield Asset Management. The BHHS network has grown to more than 34,000 agents in 47 states. Now, the franchisor is poised to catapult into the global arena and claim its place in the ranks of elite international real estate franchise brands like Re/Max, Keller Williams, Century 21 and Coldwell Banker. BHHS could add its first overseas affiliate as soon as the latter part of next year, BHHS President Stephen Phillips told Inman. Asia is among the burgeoning real estate markets BHHS is looking to set up shop in overseas. The China market is boiling over, Phillips said. We look forward to welcoming our affiliates overseas. Utah has always been an international destination--we believe in the coming years it will also become a popular place among global real estate investors and home buyers. 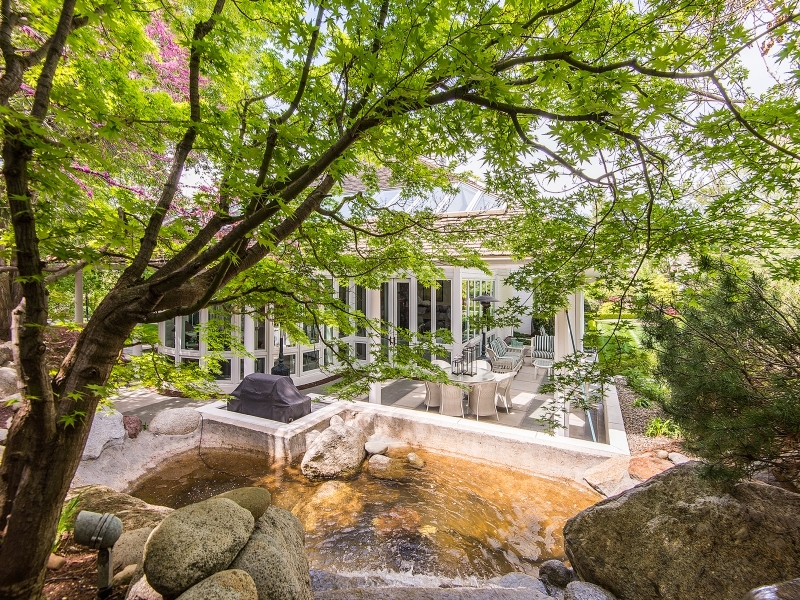 Posted in Park City Real Estate News, Salt Lake Community News, Real Estate Information, National Real Estate News, Brokerage News | 0 Responses to "BHHS Poised to Expand Internationally"
Now is a good time to look for a home. Prices are going up...and only up. According to the latest Home Price Expectation Survey poll, home values are going to appreciate between 11.2% (most conservative estimation) and 27.8% (most idealistic estimation). The market bottomed out over a year ago and will continue to rise. As home values are sure to continue increasing, there is no reason to postpone a home purchase and several reasons to purchase now. The Mortgage Bankers Association has predicted that, "the average rate on a 30-year, fixed rate mortgage will rise slowly to 5.1 percent by the end of 2015 -- a full percentage point higher than where it is currently." While mortgage rates are projected rise in the very near future, they are very soft at present, meaning...now is better than later for financing a home purchase. Utah's economy is booming. We crunch the numbers. We are confident in saying--Utah is one of the most attractive places to purchase investment real estate. The state was, for the fourth time, named "The Best State for Business" by Forbes Magazine. With our low unemployment rate, exploding tech industry, and strong pro-business regulations, major companies like eBay, Adobe, Oracle, Goldman Sachs, etc... and skilled employees have been flocking to northern Utah. Utah's robust economy makes any piece of property in our state an investment property. Posted in Park City Real Estate News, National Real Estate News, Real Estate Information | 0 Responses to "Housing Forecast-Buy Now"
We've crunched the numbers. Honoring the financial and analytic background of our parent company means we run a lot of stats around here. We are always monitoring the market and are committed to bringing you timely, honest stats with regards to Park City's marketplace. As evidenced by the graph above, Median Home Prices are down from last quarter and the same quarter last year. However, it will be interesting to see if Median Home Prices go up following the Vail purchase. When looking at Number of Sales, sales are up when compared with last quarter but down from third quarter of last year. None of these findings is surprising as Q3 is typically slower in terms of market activity--residents and buyers have historically tended to realize their real estate goals in the spring and winter. While we are seeing tremendous growth in certain segments of Park City and continued interest in vacant land, growth has been piecemeal this year. It is more important than ever to rely on the experience and market knowledge of a BHHS professional. Looking beyond our local market, domestic Real GDP grew by a respectable 3.7% this quarter, and the Average Home Price (at time of sale) increased to $216,100 from $206,900 same quarter last year. Even more noteworthy is the return of consumer confidence. According to the Nielsen Global Consumer Confidence Report, consumer confidence both domestically and globally has returned to pre-recession levels...and continues to trend upwards. Consumer idealism plays a crucial role in determining the health of the economy and more directly, the housing market. We look forward to continuing to see upward trends in all sectors. Going forward, we have begun monitoring all segments of the Park City and Wasatch County real estate markets, watching for any noteworthy changes since the announcement of the Vail purchase. While we refrain from making any sweeping predications at this point, we do believe that now is an excellent time to explore real estate investment opportunities. 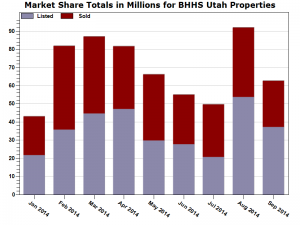 *All included statistics are the property of BHHS Utah and the result of in-house analysts. Nestled in a quiet enclave at the base of Canyons Resort, Aspen Creek Crossing includes 18-home sites that boast some of the best available single family homes in terms of investment potential. Homes are spacious and custom built with dramatic views. 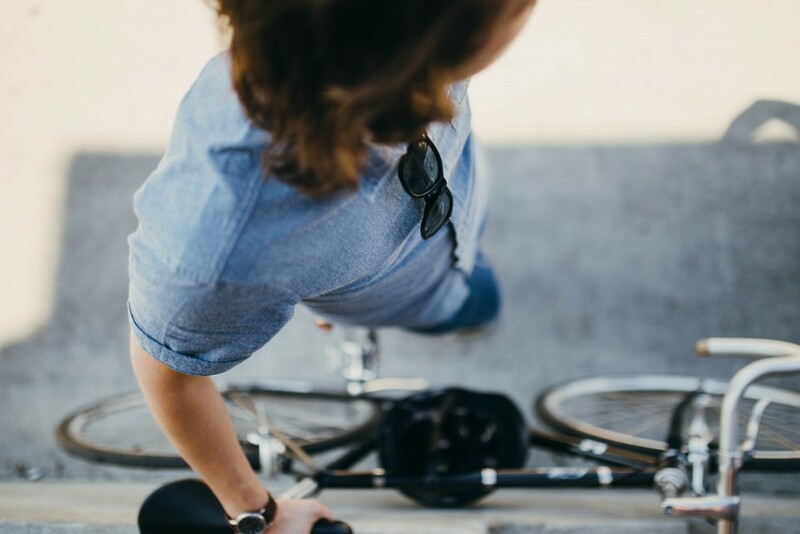 The neighborhood is ideally situated to take advantage of the planned connection between Park City Mountain Resort and the Canyons, and includes easy access to both ski resorts and the new Canyons Golf Course. Further, these homes are priced affordably, especially considering their smart designs, ideal location, and first rate amenities. 1000 Offices in 1 year. Posted in Park City Real Estate News, National Real Estate News, Brokerage News, Real Estate Information | 0 Responses to "October News"
Berkshire Hathaway Inc. beat out Apple Inc. and Walt Disney Co. to top Barrons 2013 World's Most Respected Companies list released July 1. Rankings are compiled based on company performance and investment strategies; Berkshire Hathaway jumped to No. 1 from No. 15 last year. HomeServices of America, joint owner of HSF Affiliates LLCwhich operates Prudential Real Estate, Berkshire Hathaway HomeServices and Real Living Real Estateis a Berkshire Hathaway affiliate. Posted in National Real Estate News | 0 Responses to "Berkshire Hathaway Tops Barrons Most Respected Companies"
J.D. Power and Associates announced July 10 Prudential Real Estate ranked highest for customer satisfaction in three of four segments included in J.D. Power and Associates annual Home Buyer/Seller Satisfaction Study. The network scored highest in Repeat Home Buyer, First-Time Home Buyer and First-Time Home Seller categories. It ranked third in the Repeat Home Seller segment. Posted in National Real Estate News | 0 Responses to "Prudential Real Estate Takes Three of Four Categories in J.D. Power and Associates 2013 Home Buyer/Seller Study"
Hopes that lawmakers in Washington will reach an agreement on taxes and spending gave investors new confidence and drove stock indexes to their best day in two months. Investors have spent a tense few weeks since the election watching for smoke signals out of the nation's capital for indications that Democrats and Republicans are nearing a compromise. On Monday, they found reason for optimism. President Barack Obama said he was "confident" an accord could be reached with lawmakers, and congressional leaders have said they are making progress. New data Monday also showed existing home sales climbed last month and builder confidence rose to the highest level in 6½ years. For investors, the stakes are high. If no deal comes to pass by the year-end deadline, a raft of tax hikes and spending cuts would automatically come into effect, potentially dragging the U.S. economy into recession. As big a worry: the wrangling until then could send markets on a wild ride. "Until we get much closer to a deal, we're going to see more volatility in the markets," said Russ Koesterich, chief investment strategist at BlackRock Inc. "We're going to be hostage to these utterances out of D.C."
Investors and analysts cautioned the gains could quickly be erased should progress in Washington stall, or if new weakness emerges in Europe. Late Monday, Moody's Investors Service stripped France of its triple-A rating, citing its weak economy. "As a money manager, you don't know where the bottom of the market is, but I don't want to miss the boat if the market goes higher from here," said Reed Choate, a portfolio manager at Neville, Rodie & Shaw, a New York firm with $1.2 billion under management. Mr. Choate said he bought beaten-up stocks of utilities, industrial and energy companies. After four straight losing weeks, the Dow Jones Industrial Average rose 207.65 points, or 1.65%, to 12795.96, its biggest gain in two months. The Nasdaq Composite rose 2.2%, driven by a 7.2% surge in Apple Inc. AAPL -0.86% Asian markets rose early Tuesday. A version of this article appeared November 20, 2012, on page A1 in the U.S. edition of The Wall Street Journal, with the headline: Investors Show Optimism That Cliff Will Be Avoided. Posted in National Real Estate News | 0 Responses to "Investors Show Optimism That Cliff Will Be Avoided"
30-year mortgage rates continue to stay low spurring home purchases and refinancing, Freddie Mac has reported. With a rate currently at 3.39% for a 30-year loan and 2.70% for a 15-year loan they are just marginally above record lows. With home prices rising in almost all Utah real estate markets, call your Realtor to learn how these low rates may impact decisions to buy or sell a home. Posted in Park City Real Estate News, National Real Estate News | 0 Responses to "Historic Low 30-year Loan Rates Hover Around 3.39%"
MINNEAPOLIS, MINN. (Oct. 30, 2012) HomeServices of America, Inc., a Berkshire Hathaway affiliate, and Brookfield Asset Management, announced today that they have partnered to introduce Berkshire Hathaway HomeServices® a new franchise brand that joins the existing brands and affiliate networks of Prudential Real Estate and Real Living Real Estate. Berkshire Hathaway HomeServices® combines the financial strength of both organizations coupled with the operational excellence of HomeServices and superior real estate franchising experience of Brookfield. The combined networks of more than 53,000 Prudential Real Estate and Real Living Real Estate agents generated in excess of $72 billion in residential real estate sales volume in 2011, and operate across more than 1,700 U.S. locations. Berkshire Hathaway HomeServices® unites proven operational excellence, demonstrated integrity and the reputation of Berkshire Hathaway  among the worlds most admired companies, according to Fortunes 2012 ranking  to deliver its real estate franchise offering in the market. This combination enables brokers and affiliates to attract and retain the best agents to provide superior customer service and to drive performance and profitable growth. Berkshire Hathaway HomeServices® will be available in 2013. 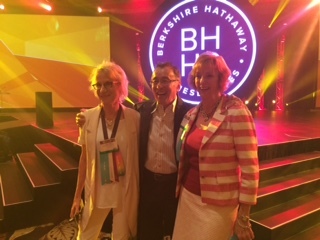 The strength of the Berkshire Hathaway name, coupled with the operational excellence of HomeServices and the franchising experience of Brookfield, positions Berkshire Hathaway HomeServices® as a leading real estate franchise in the U.S., building on our traditions of exceptional client service and innovation. Brookfield is excited to be a partner in creating a home for the best real estate brokers and agents in the country, said Bruce Flatt, Brookfield Asset Management CEO. Berkshire Hathaway HomeServices® will be led by an experienced management team including Earl Lee, Chief Executive Officer; Stephen Phillips, Chief Operating Officer; Brian Peterson, Chief Financial Officer and Aleya Chattopadhyay, Chief Marketing Officer. About HomeServices of America, Inc.
HomeServices of America, Inc. is the nation;s second largest, full-service residential brokerage firm and one of the largest U.S. providers of integrated real estate services. HomeServices is owned by MidAmerican Energy Holdings Company, a consolidated subsidiary of Berkshire Hathaway Inc. Since it became a MidAmerican affiliate in 1998, HomeServices has grown from 4,000 agents in three markets to more than 16,000 agents in 21 states. HomeServices is comprised of some of the industrys most respected real estate firms, specializing in brokerage, mortgage, title and escrow services, insurance and relocation. Each of the HomeServices companies has been serving clients for an average of more than 60 years and is regarded for unparalleled service. During 2011, the companys associated facilitated nearly $32 billion in residential real estate sales and closed over $3.0 billion in home mortgages. From 19982011, HomeServices transacted nearly 1.9 million brokerage units with a total sales volume of more than $506 billion. About Brookfield Brookfield Asset Management Inc. is a global alternative asset manager with over $150 billion in assets under management. The company has over a 100-year history of owning and operating assets with a focus on property, renewable power, infrastructure and private equity. It has a range of public and private investment products and services. Brookfield is co-listed on the New York and Toronto Stock Exchanges under the symbols BAM and BAMA, respectively, and on NYSE Euronext under the symbol BAMA. Brookfield Residential Property Services is a leading global provider of real estate and relocation services, technology and knowledge, and a division of Brookfield Asset Management. Through its North American real estate and relocation operations, it has more than 75,000 real estate professionals in more than 2,800 locations, transacting over $150 billion in 2011. Prudential Real Estate and Real Living franchisees are independently owned and operated. Prudential, the Prudential logo and the Rock symbol are service marks of Prudential Financial, Inc. and its related entities and are used under license, with no other affiliation with Prudential. Posted in Park City Real Estate News, National Real Estate News | 0 Responses to "A New Residential Real Estate Franchise Brand - Berkshire Hathaway HomeServices®"
The Wall Street Journal is reporting that more luxury home buyers are putting more cash down for their home purchases to reduce interest rates. "As luxury-home sales take off, some home buyers with deep pockets are using cash to dodge large mortgages. Some are making massive down payments in exchange for a smaller loan with a lower rate. Others are sticking to all cash... Why the change of heart? With yields on deposit accounts at record lows and concerns about future returns on equities..."
With luxury home sales increasing in the Park City real estate market, a sound strategy to maximize savings becomes critical. Posted in Park City Real Estate News, National Real Estate News | 0 Responses to "For a Lower Rate, Luxury Home Buyers Are Letting Cash Do the Talking "